Named "Best Free Attraction" in Las Vegas, the 117,000 gallon aquarium features exotic fish, sharks, stingrays and mermaids. “I find the most fascinating thing about the aquarium is that it is not geographically exclusive. We have fish represented from every ocean except the Arctic and Southern Ocean,” states Aquarium Curator, Ryan Ross. June is National Aquarium month, a good time to explore the Silverton Casino aquarium featuring thousands of species of fish, sharks and stingrays as well as live mermaid swims. The focal point of the front lobby is an astonishing 117,000 gallon salt water aquarium with 1,000s of tropical fish, 100s of different species of fish, six distinct species of sharks, four breeds of stingray and one unique class of mermaid. It takes time, knowledge and a lot of behind the scenes patience to maintain the serene peace within the aquarium. Education and conservation are the real value of providing a free attraction inside the resort. We recognize the hard work it takes to protect the sea life, the environment inside the aquarium and everything that goes unseen with the watery habitats located throughout the property. 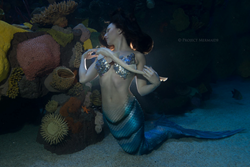 Visit one of the best free attractions in Las Vegas during the month of June and see beautiful Mermaids swimming throughout the aquarium. Also, enjoy daily live stingray feeding shows while being educated about all the wonders of the ocean. For more information or to interview a member of Silverton Casino’s Aquatic Team, please contact Kimiko Peterson at 702-263-7777. Silverton Casino Hotel offers 300 deluxe rooms and suites and world-class amenities all located within an upscale, contemporary luxury lodge-themed resort. Silverton Casino Hotel is home to a variety of restaurants and dining options, including the Seasons Buffet, the 24-hour Sundance Grill, Shady Grove Lounge, Twin Creeks Steakhouse, Mi Casa Grill Cantina, WuHu Noodle, Starbucks and Johnny Rockets. In addition to the flagship 165,000-square-foot Bass Pro Shops Outdoor World, Silverton offers 90,000 square feet of gaming with more than 1,500 slot machines and 23 table games and the Mermaid Restaurant & Lounge. 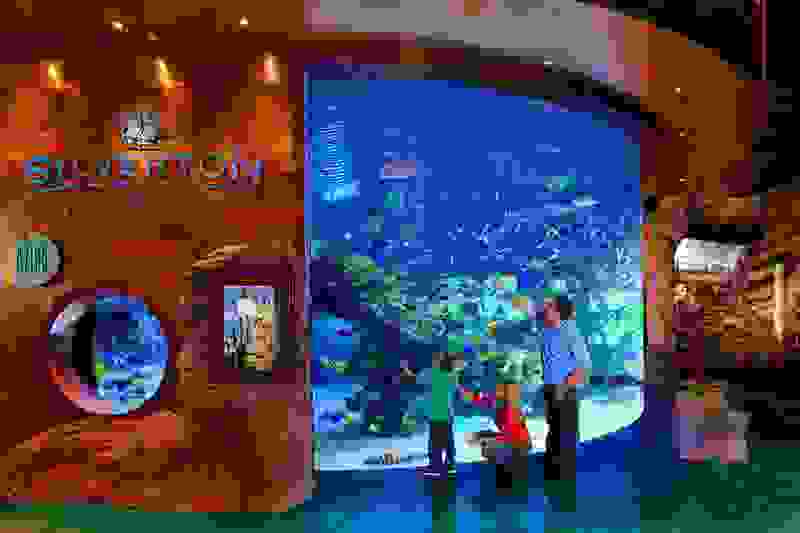 The property features a 117,000-gallon saltwater aquarium with more than 4,000 sharks, stingrays and tropical fish, which was voted “Best Free Attraction” in the Best of City Search®. Silverton Casino Hotel is located at I-15 and Blue Diamond in Las Vegas. For more information, please call (702) 263-7777 or visit http://www.silvertoncasino.com.